July 16, 1935 - November 5, 2016 Glendale California native Margaret (Peggy) Elizabeth Anderson has passed away due to heart failure. 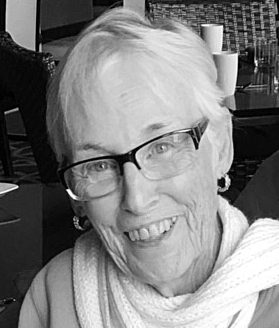 She was 81 and passed peacefully on November 5, 2016 in Woodland Hills. She was born at Glendale Sanitarium and Hospital to Joseph and Margaret Morton on July 16, 1935, had an older brother, Joseph Jr., and a younger brother, Bradley. After graduating from Whittier High School in 1953, she went on to earn an A.A. degree in Home Economics from Fullerton Junior College and a B.A. degree in Education from Los Angeles State College. Receiving her teaching credential, she taught at West Covina Junior High School from 1961 to 1964. While teaching, she met and married James Grant Anderson and in 1964 they had a son, Eric. After James completed seminary in 1965, their new family moved from southern California to Lahaina, Maui where James served as pastor at Lahaina Methodist Church and Peggy worked at Luana's Originals, a clothing store, as an assistant manager. She was the third generation of her family to live in Hawaii; her grandparents had lived there as missionaries when her mother was a child decades earlier. In 1969 their family moved to Aiea, Oahu and Peggy began her work with the University of Hawaii Extension Service, rising to the position of Coordinator of Community Education. She received her Masters degree in Educational Communications and Technology from the University of Hawaii in 1978, and taught courses in television production, merchandising and retail. After the high school graduation of her son in 1983, she moved to San Diego and began a varied career that encompassed her interests in fashion, crafts, business and education. Her final place of employment was at the French Hand Laundry in Pasadena, where she worked directly with owner Susan McManigal on the alteration and restoration of rare and vintage clothing and fabrics. A resident of Canoga Park for 26 years, she retired in 2015. She is survived by her son Eric, her brother Joseph, and a cherished circle of friends, nephews and nieces. A memorial service was held at First United Methodist Church of Canoga Park, 22700 Sherman Way, West Hills, CA 91307, on Monday, December 5.